(Natural News) Smoking does nothing good to the body. In fact, it’s a leading cause of disease and disability for almost every organ in the body. It increases the risk of multiple cancers, such as that of the lungs, mouth, throat, stomach, liver, and kidneys. At least 90 percent of lung cancer cases, in particular, are caused by smoking. Smoking can also result in other chronic conditions, including cardiovascular disease, stroke, and chronic obstructive pulmonary disease. As a result, smoking, as well as other forms of tobacco use, can kill up to half of its users. 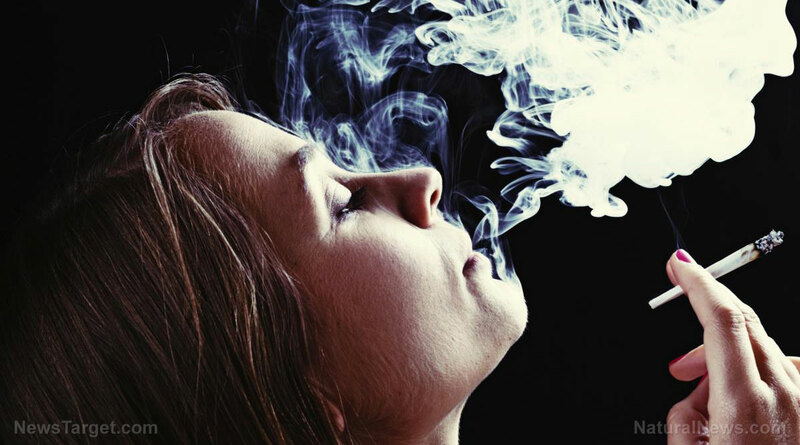 The World Health Organization estimates that seven million people die from complications from direct tobacco use or from exposure to second-hand smoke. For something so harmful to the human body, a lot of people are addicted to it. In the U.S. alone, nearly 16 percent of all adults are cigarette smokers, with at least 2,100 youth and young adults becoming regular cigarette smokers each day. There’s still hope for those who want to quit. For one, you’re not alone: In a study by the Centers for Disease Control and Prevention, seven in 10 adult cigarette smokers have thought of quitting, and five out of 10 have actually made an attempt to do so. Smoking is indeed a hard habit to break, but it doesn’t mean that it’s impossible. For one, a lot of methods are available to help a person quit smoking — including acupuncture. Acupuncture is a form of treatment that inserts thin needles through the skin to stimulate certain points in the body. The procedure, which is rooted in traditional Chinese medicine, is aimed to balance the body’s “qi” or energy flow. Qi flows through the body in pathways called “meridians,” which are accessible through 350 acupuncture points on the body. Many studies have attested to its ability to treat certain conditions, including dysfunctions in blood pressure, gastric conditions, facial pain, sciatica, and fibromyalgia, among others. On top of these benefits, acupuncture has no side effects. To treat addiction such as smoking, practitioners usually use a method called auricular acupuncture. This procedure uses fine needles that are inserted into acupuncture points on the ear. Patients who undergo this method are treated on a case-by-case basis, with multiple acupuncture points involved in treating smoking addiction. On the ear, the points include the Shenmen (the upper part of the earlobe), as well as the kidney, lung (upper and lower), and hunger. An acupuncture point in the body specifically used to quit smoking is the Tim Mee point, located on the wrist. Additional points used include the Four Gate Points, which help calm the nervous system. The Four Gate Points also circulate qi throughout the body. Of course, acupuncture alone isn’t a silver bullet to stop smoking. It also requires that a person actively change his lifestyle and cope with recurrent cravings. For those looking to break the habit, it’s always best to surround yourself with the right people for support. It also helps to become physically active, as studies have identified that to be a great way to reduce a person’s urges to smoke. Going for an ear massage is a great complement to acupuncture, as it helps with cravings and helps release endorphins, chemicals that act as natural painkillers.